Spectacular Ocean view from this Keala O Wailea, Building 4, 2nd floor condo with elevator. Keala O Wailea is Wailea's newest development. 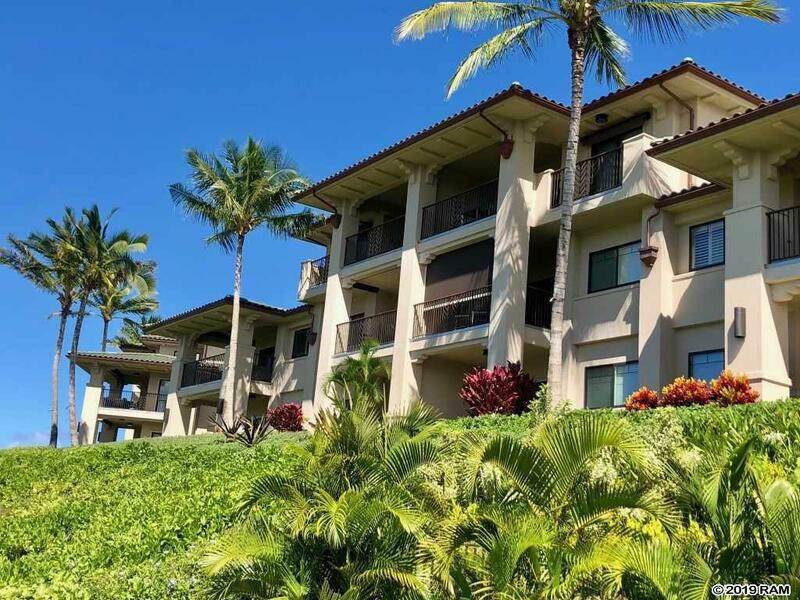 This two bedroom condo enjoys full frontal 180 degree ocean views of Molokini, Kahoolawe and Lanai, breath taking sunsets, whales and deer along with views of the Wailea Blue Golf Course holes 3, 4 and 5. This brand new 70 unit complex has a heated pool, hot tub, fitness center, large pavilion and two gas bbq grills. Steps from the Wailea Gateway Center, you are minutes from the Shops at Wailea, the three Wailea golf courses and Wailea's premier hotels. This condo has a motorized sunshade on the lanai, tiled living room, quartz countertops and two numbered parking stalls (one under a carport). A must see... Condo 59-202 will delight your senses! Some furnishings negotiable. Seller is licensed Hawaii agent. This is the one!